It was a pleasurable experience once we got to the property. We enjoyed our stay tremendously , the beach was super clean , the patrons were overall friendly. Check in: check out was super efficient . I needed to have a document printed and then faxed while I was there to take care of a business matter at home and the staff was more than willing to take care of that for me. I greatly appreciated that. We thoroughly enjoyed our stay and were truly able to relax. Loved Navarre Beach and will definitely stay again. Very easy communication, very easy to rent the property. Loved 1303 at the Navarre Pearl!! It was clean, the dcor was very nice, the place was very quiet. The room and property was very clean and nice. Loved the view. We would definitely stay here again. I found the manager to be very knowledgeable about the features and benefits that would be favorable for our stay. Shakyra facilitated choosing our desired accommodations easy and pleasant and her assistance was greatly appreciated. 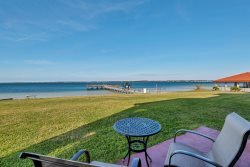 I found that the Gulf Islands Condo is a relaxing enjoyable place to stay with close proximity to shopping and recreational activities. Your team is very knowledgeable, professional and friendly. They are an asset to your business! My family and I enjoyed our stay immensely. We will definitely come back! Second year staying at the property and plan to stay again! Staff were efficient and friendly, we called to have the overhead light fixed and the dryer checked, both times the maintenance people were there quickly and took care of the situation . The weather when we were there was not as good as in the past, the amenities at this condo made it much more pleasant than it could have been.